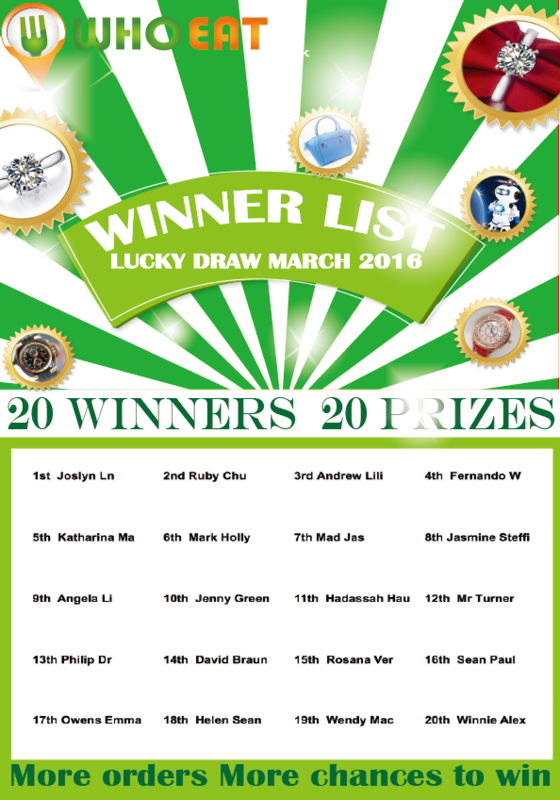 20 Winners & 20 Prizes! 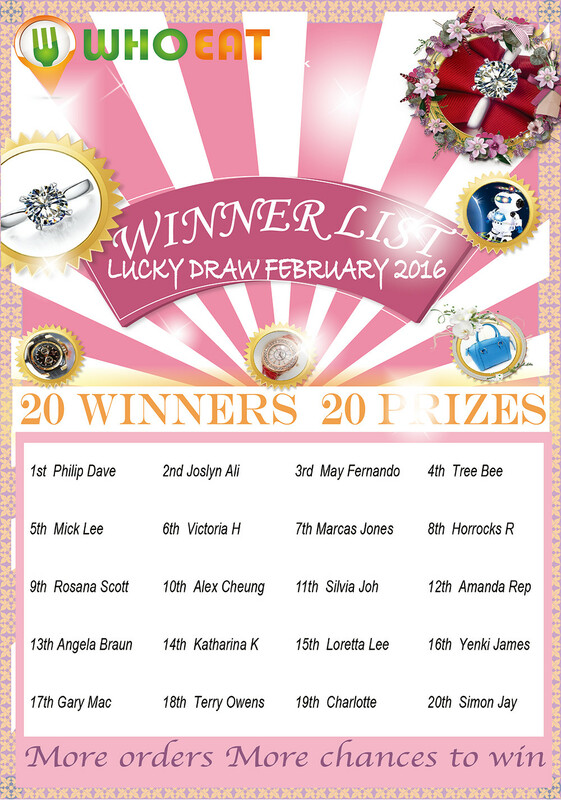 The AUG 2015 Lucky Draw, we give away some of this seasons must haves! 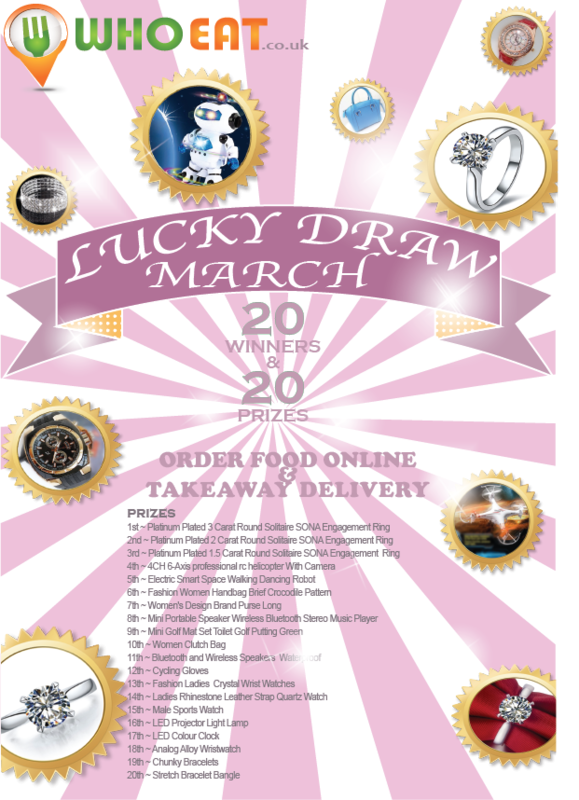 Order your meal online with WhoEat.co.uk to get the chance to WIN. 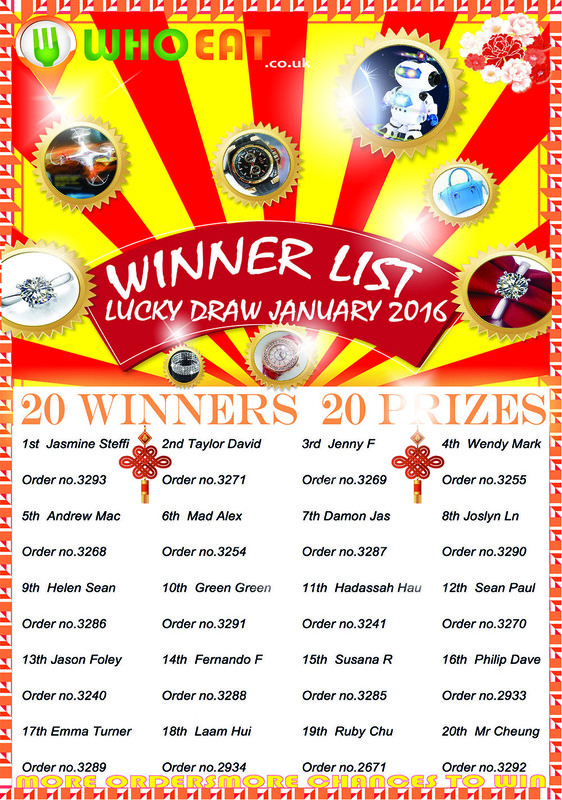 The Entry Period for the Lucky Draw is from 00:00 of 1st AUG 2015 until 23:59 of 31 AUG 2015. 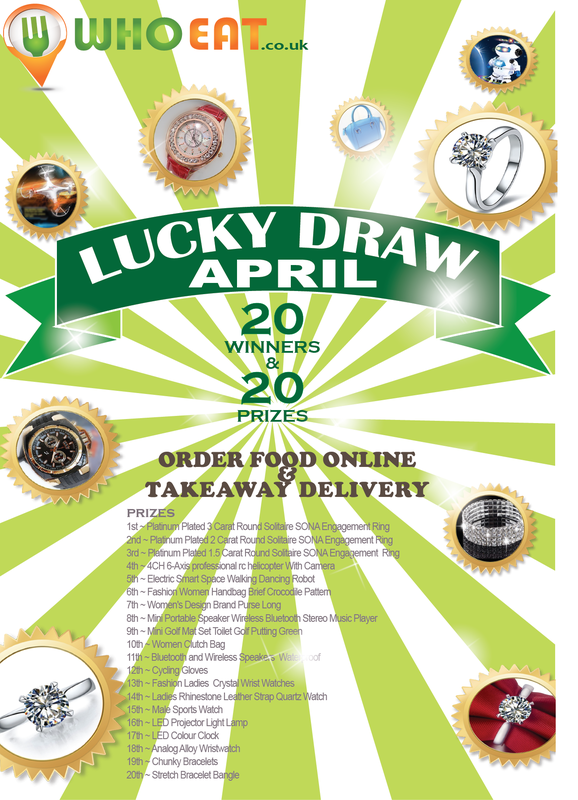 WHOEAT’s customers can enter the Lucky Draw as many times as they wish but each entry must be accompanied with a WHOEAT purchase order number. 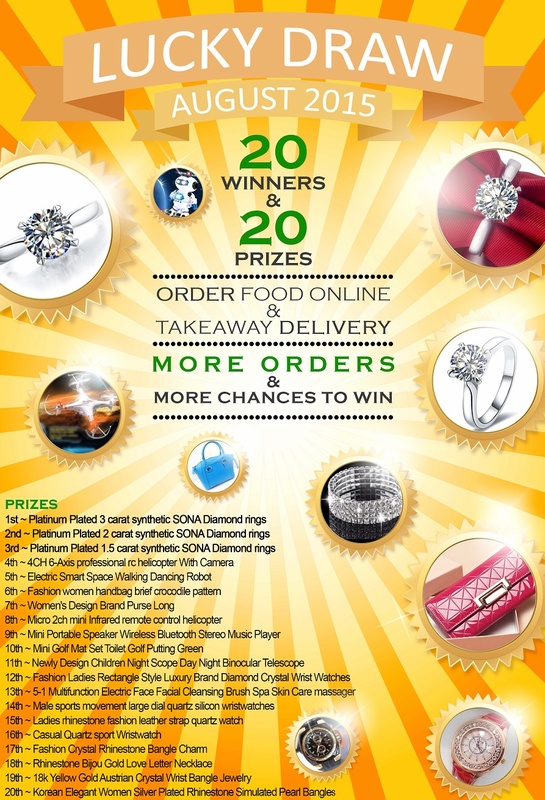 On 1st SEPT 2015, 20 participants will be drawn randomly with their purchase order numbers. Results will be announced in www.WhoEat.co.uk.